A new study of marijuana drug use in Colorado found increases in marijuana-related traffic deaths, hospital visits, school suspensions, lab explosions, and pet poisonings. The study was conducted by a federal government program. The 166-page report released this month analyzed the effects of legalizing marijuana for medical and recreational use in Colorado spanning the time period from 2006 to the present. Along with the state of Washington, Colorado is considered as something of laboratory in which the effects of legalizing marijuana use can be studied. The study showed that the number of drivers testing positive for marijuana increased 100 percent from 2007 to 2012, with marijuana-related fatalities doubling from 37 to 78. Traffic fatalities total around 500 a year in the state. One of the reports key findings was that the number of children aged zero to five exposed to marijuana increased 268 percent when comparing the period from 2006 to 2009 to the period from 2010 to 2013: triple the national average. The report showed that more young people aged 12 to 17 were using marijuana as well. When asked during a national survey in 2012 whether they had used marijuana in the past month, 10.47 percent of Colorado’s youth said they had, which was 39 percent higher than the national average. “I never dreamed in a million years that this would happen to my son,” Kendal, a parent who didn’t want to use his last name, told CBS, referring to a time when he came home to find his 13-year-old son unconscious from what he says was a marijuana overdose. “He was gray. His heart wasn’t beating and he wasn’t breathing,” Kendal said. Kendal used CPR to resuscitate him, and later talked to his son’s high school peer and supplier. @Drudge_Report_ Well, shoot... where'd I put my "shocked" face? Marijuana-related emergency room visits grew 57 percent in two years, from 8,198 in 2011 to 12,888 in 2013, the study found, with a 29 percent increase in emergency room visits for teens. The report also found that drug-related suspensions and expulsions increased 32 percent between the 2008-2009 and 2012-2013 school years. The majority of expulsions were for marijuana violations. From 2006 to 2008, there were 1,000 to 4,800 medical marijuana cardholders and no known dispensaries in Colorado. As of the end of 2012, there were 108,000 cardholders and 532 licensed dispensaries. In November 2012, voters passed an amendment allowing anyone over the age of 21 to use marijuana recreationally. Other findings included data showing that seizures of Colorado pot being shipped out of state soared in 2014. 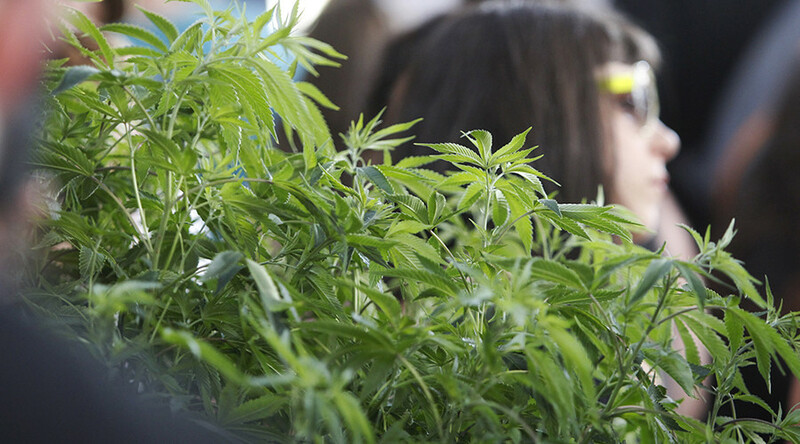 Pot seizures increased 397 percent between 2008 and 2013. The average number of pounds seized increased 35.5 percent from 2005 to 2008 when compared to the time period from 2009 to 2013. US Mail parcels were intercepted being shipped to 33 states, representing an increase of 1,280 percent. Increased distribution of and access to marijuana has also led to increases in crime, lab explosions, and poisonings, according to the study. The number of pets poisoned from ingesting marijuana increased fourfold in six years, with a total of 153 cases reported from 2006 -2012. The report also found that the estimated annual revenue from the sale of recreational marijuana varies from $65 million to $118 million. Interestingly, the majority of counties and cities in Colorado have banned recreational marijuana businesses despite the drug being legal. The report was carried out by the federal government’s Rocky Mountain High Intensity Drug Trafficking Area, a program that assists federal, state and local and tribal law enforcement in critical drug-trafficking regions.